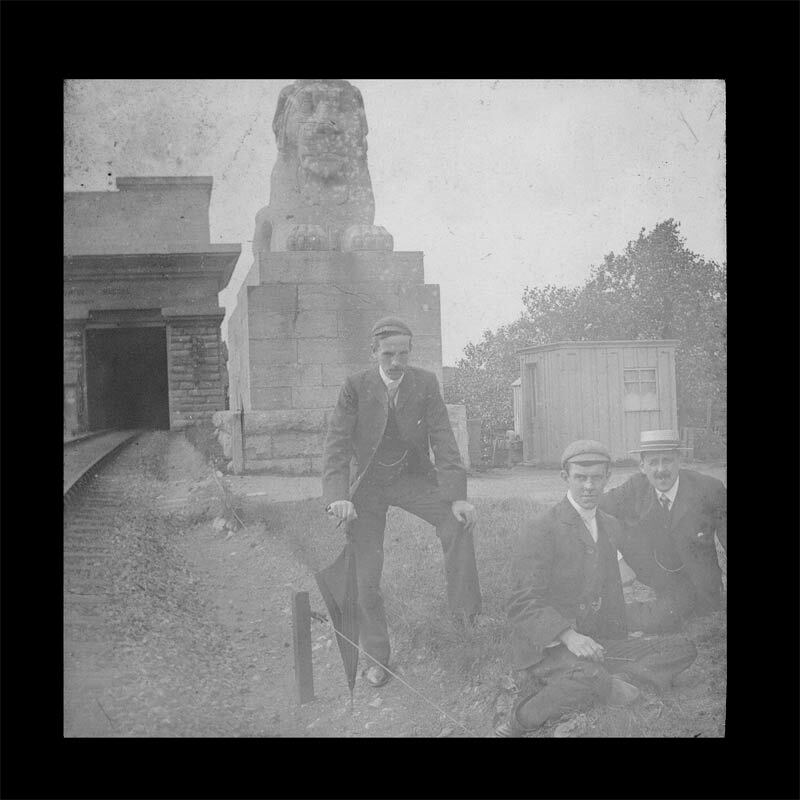 Description : Bangor entrance, Britannia Bridge, Menai Strait, North Wales (c.1905). The inscription, which is partly visible, reads "ERECTED ANNO DOMINI MDCCCL ROBERT STEPHENSON ENGINEER". Sadly, the beautiful stone lions carved by John Thomas are now sitting forlornly under the bridge's road deck.